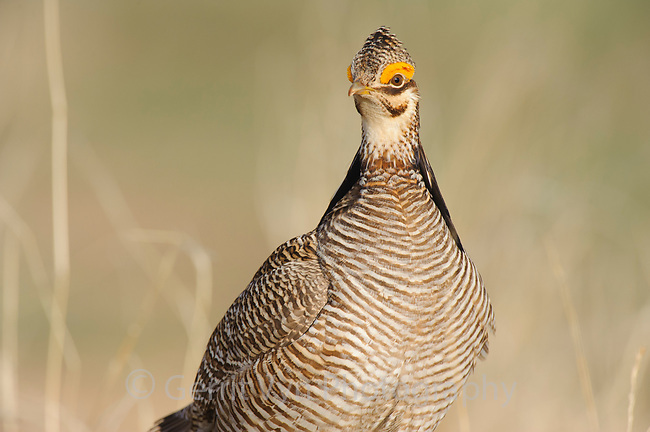 Portrait of an adult male Lesser Prairie-chicken (Tympanachus pallidicinctus) on a lek. Cimarron National Grassland, Kansas. April.